On Monday May 14th, 2018 H.E. Minister of Higher Education and Scientific Research (MHESR), heads Egypt-Japan University of Science and Technology (E-JUST). The esteemed presence included E-JUST Board of Trustees (BoT) Chairperson H.E. Ambassador Fayza Abou El-Nagga, BoT VP Mrs. Niroku Suzuki and E-JUST President Prof. Ahmed Al-Gohary in one of Cairo hotels. During the meeting, the Minister affirmed the keenness of President Abd El-Fattah Al-Sisi to focus on E-JUST. Also, provide all needed facilities to finalize the establishment of its new headquarters. Thus, making it a role model in both Higher Education and Scientific Research sectors. Besides, Prof. Khaled Abd Al-Ghaffar praised E-JUST Higher Education and Scientific Research fields. The University represents friendship ties between Egypt and Japan. Besides, he expressed pride and happiness when attending the 13th postgraduate student batch graduation ceremony yesterday. 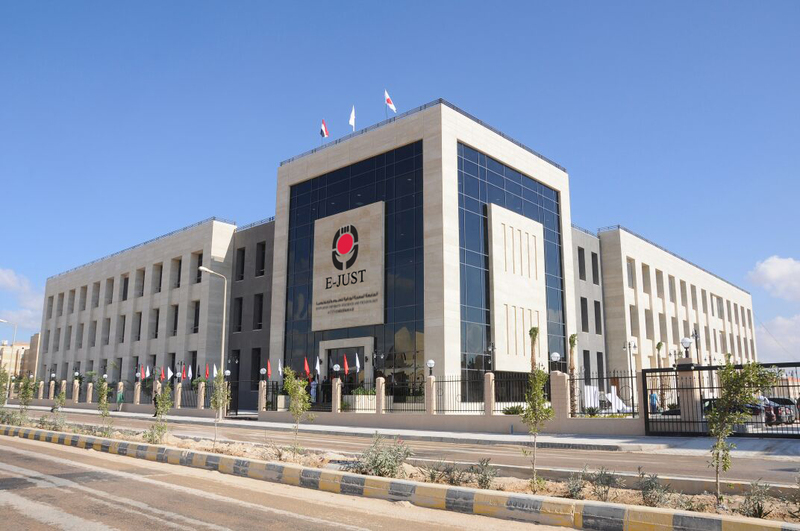 In addition, the Minister also aspires that the next BoT meeting shall be held at E-JUST headquarters in Borg Al-Arab city. He clarified as well E-JUST achievments regarding its facilities. Moreover, H.E. Ambassador Fayza Abou El-Nagga, she stressed the importance of supporting Egypt-Japan partnership relations in scientific, research and education fields. It was noted that main campus is under construction. 40% of the work is completed in 13 buildings that are under construction. Construction priority is given to the Center of Excellence (CoE) and the four college laboratories to accommodate all Grand Aid-1 equipment to be delivered during January and February 2019. Furthermore, Prof. Ahmed El-Gohary stated the effective role of the Ministry of Higher Education. He suggested that new students can be trained for E-JUST postgraduate studies. This can take place through learning research methods as well as acquiring English language and Japanese culture. Last but not least, the meeting was attended by Alexandria University President Prof. Essam El-Kordy, Academy of Scientific Research and Technology (ASRT) Prof. Mahmoud Sakr and Japanese Embassy representative in Cairo. There were also representatives to the Ministries concerned with the university and its activities. In particular, Higher Education, Foreign Affairs, International Cooperation and Planning. Besides to industry representatives from Egyptian and Japanese sides. To conclude, representatives of 6 Japanese Universities (Waseda, Kyushu, Kyoto, Tsukuba, Tokyo Tech, and Ritsumeikan of Japan) were among the presence. These Universities are from the 15 Japanese Universities participating in the Japanese Supporting University Consortium.